In this day and age we see branding all around us. Many times without realizing what’s in a brand. We probably don’t even think about it really we just know there are certain things we are attracted to based on our feelings or the way we perceived value of a company. What attracts us to a restaurant, or a certain line of clothing. Think about when you travel, do you always fly the same airline? You probably even stay at the same hotel. Most often we think of a brand as a logo or a color associated with that company or even a particular font they use in their logo and marketing. This portion of your brand is referred to ad brand identity. It’s the part that people identify most with. There are other parts of a brand such as brand personality, brand story, brand message and a few others. These are the components that say what your brand does for the customer, or how your brand makes the customer feel. And the story of how your brand came to be. I was thinking of this recently as I was attending a marketing event. I had decided to wear a T-shirt with the logo for one of my newer online service. A few people asked how I came up with the name for the brand. There was actually several things that came into play for this service. I wanted a brand people would remember and would recognize instantly both in color, name and the service it offered. The service is a re-brand and rewrite of a service I’ve had for 15 years and feel it was time for a reboot in all aspects. Something in looking at some of the most successful brands is that they had two syllable names. Think about some of these top brands. Apple, Google, Yahoo, FaceBook, Twitter, DropBox, Twitter and I’m sure the list goes on. So using this strategy, I was thinking what could I come up with. My service provides a unique method of surveys or polls. 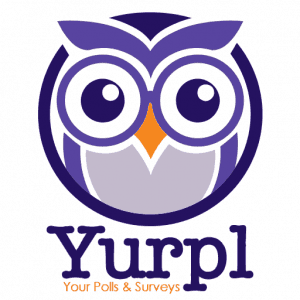 So, in playing around with my brand message I wrote down several instances of that phrase until I came up with Your Polls and Surveys in saying each word individually and together I came up with YourPolls but that wasn’t catchy enough. So I looked at other services that are out there such as Fiverr, Flickr and I came up with Yurpl based on what has been successful for those brands I checked out. That easily lent itself to a color for the brand, Purple. The font also came with a little thinking as well. If some one is filling out a response for a question or survey they’re typing in a response, so I wanted to locate a font that had a typewriter look. I went over to a favorite site DaFont.com and enter the service name of Yurpl and it allows you to see how the font would look on that word. I looked at 100’s of fonts until I came up with the one that just stood out to me. Finally I really wanted a brand-able mascot for the service. I knew I wanted a wise owl – when people see the owl they think of smart, knowledgeable so I sketched a few close to what I wanted but to get the right look I registered for a logo contest using the Design Crowd service. After looking at close to 100 designs and several modifications I was able to come up with the final image I wanted. I added that to font I had found and my logo brand was finalized.